I am a huge fan of nail arts. I rarely leave my nails bare whenever I step out of the house. 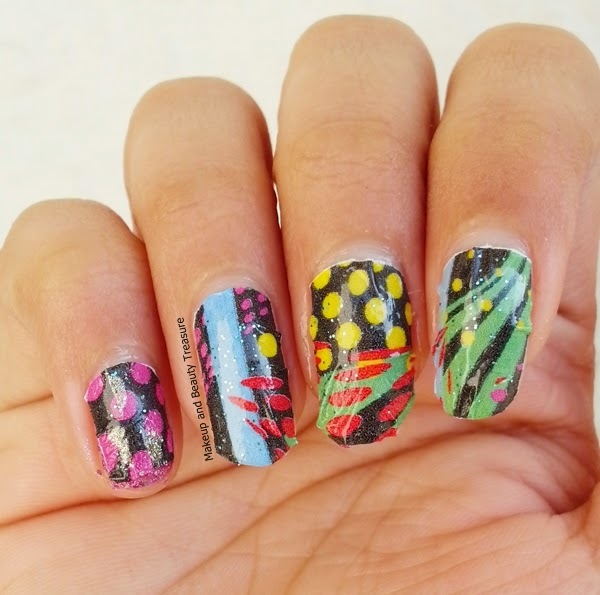 Nail art water decals are my favorites as they are easy to apply, feel light and stay on my nails for a week without dulling. Nailspin is a US nail art brand that stocks super pretty and chic nail art water decals. 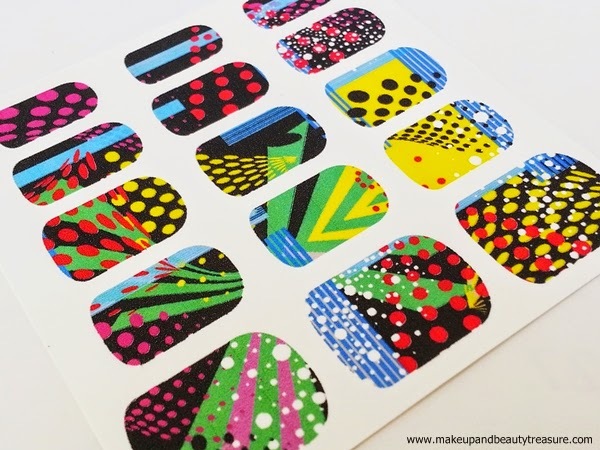 Today I am going to review Nailspin Colorful Geometric Nail Art Water Decals. 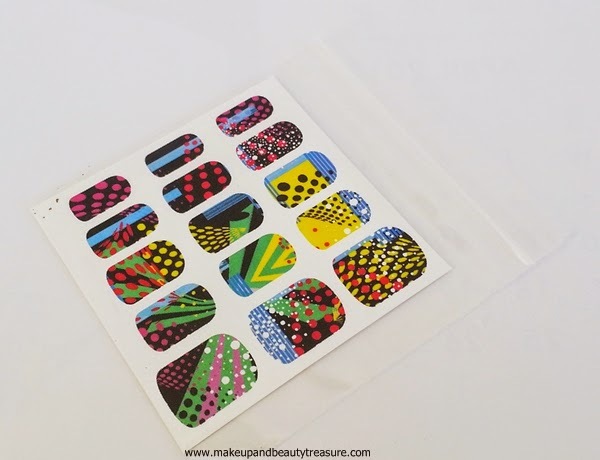 Nailspin Colorful Geometric Nail Art Water Decals comes stuck on smooth plastic sheet that is itself sealed in a plastic case. They can be securely carried around in a bag or purse. The stickers have different colorful geometric designs of different shapes. They look really cool and pretty to sport. The nail water decals are made of very thin plastic that does not tend to stick to itself upon application. They are super easy to apply and feel extremely light on nails. 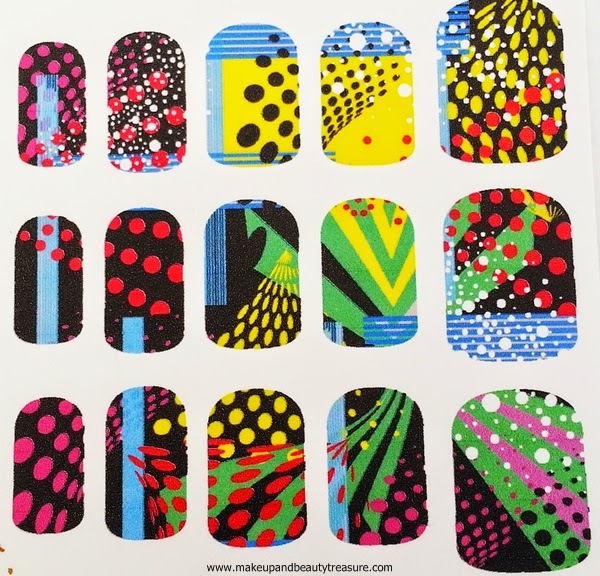 There are three rows of 15 nail wraps in the shape of nails. The smallest ones are for pinky fingers and the largest ones for thumbs. • Now place the decal over your nail and slide it to adjust its position. Make sure you do it fast as it does not give you enough time to adjust the decals on your nails. Always make sure to apply top coat because once your nails get in contact with water, the decals would start sliding off. Nail art water decal is one of the easiest ways to do your manicure within few minutes. I find these decals much better than nail art stickers. These are awesome alternatives to applying nail varnishes. 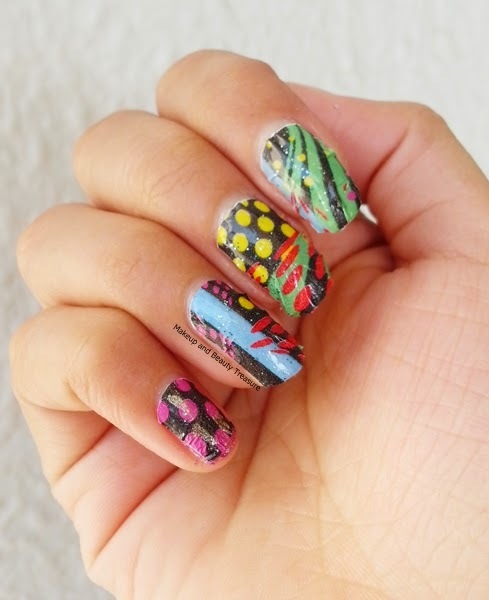 The pattern looks really chic and funky on nails. They look prettier in person than in pictures. The water decals last on my nails for a week without wearing off. They can be easily removed using a good nail polish remover. The key to applying full nail art decals is to trim them off according to the size of your nails. In my case I have not trimmed them off properly and that causes slight wrinkles on the decals. 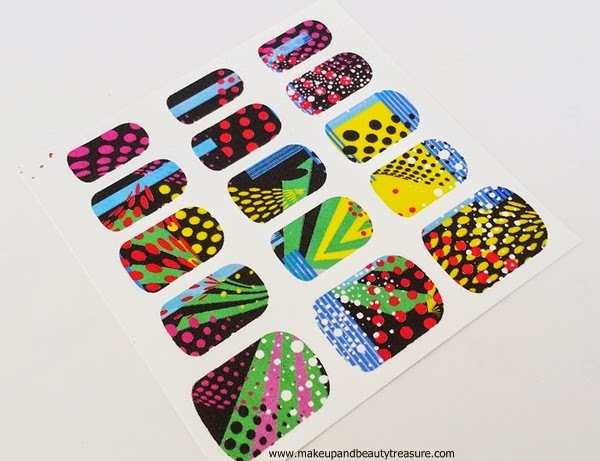 • If you love colorful nail designs then these are for you. 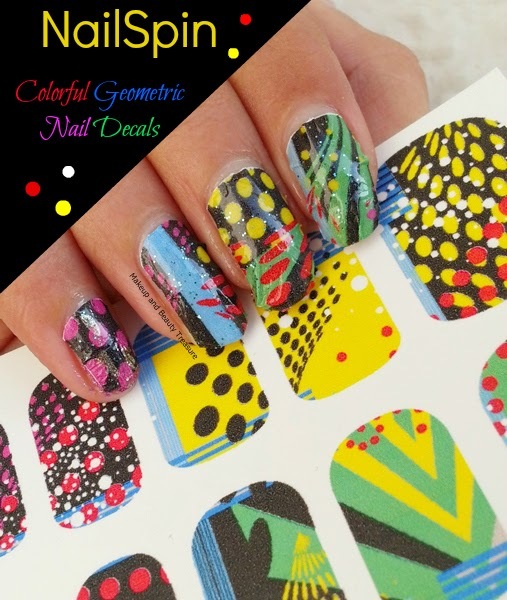 Nailspin Colorful Geometric Nail Art Water Decals are the perfect nail art decals to jazz up your simple outfit. They are easy to apply and feel super light on nails. 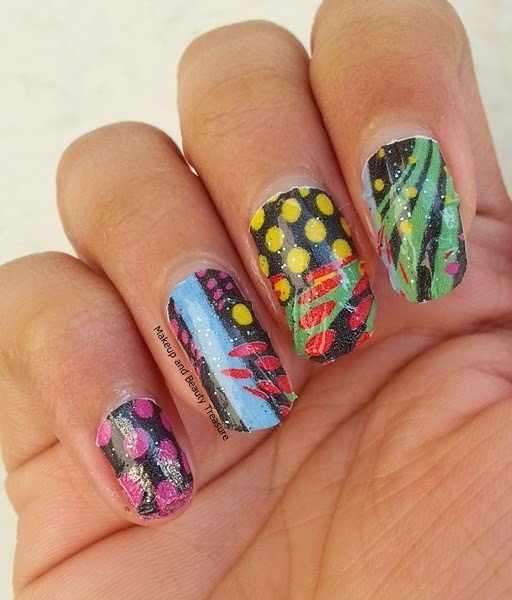 I love how colorful and beautiful these water decals look on my nails. I would happily recommend them to everyone! 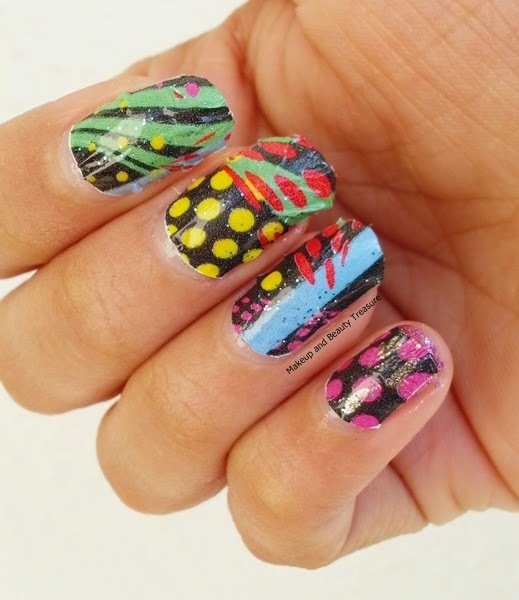 Have you tried Nailspin Nail Art Water Decals? How was your experience? Share in the comments section below!